On Wednesday, April 10, the University of Maine held its fourth annual graduate and undergraduate Student Research Symposium in Bangor’s Cross Insurance Center. The event, which ran from 9:00 a.m. until 4:00 p.m., allowed presenters the chance to showcase their research to their peers and other members of the greater Bangor area community. Over 300 students participated, with undergraduates and graduates constituting a nearly equal amount. 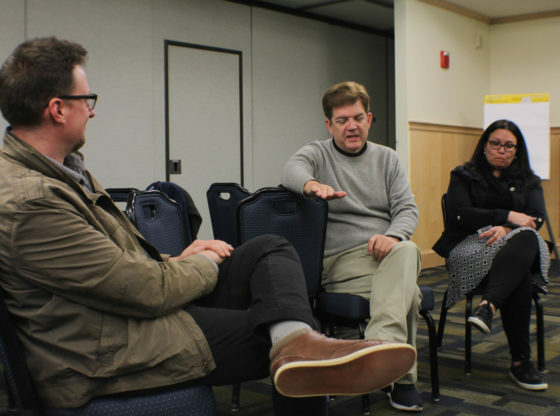 As a part of the larger Maine Impact Week, the symposium followed a Faculty Mentor Appreciation luncheon on April 8 and preceded Accepted Students Day on April 12. 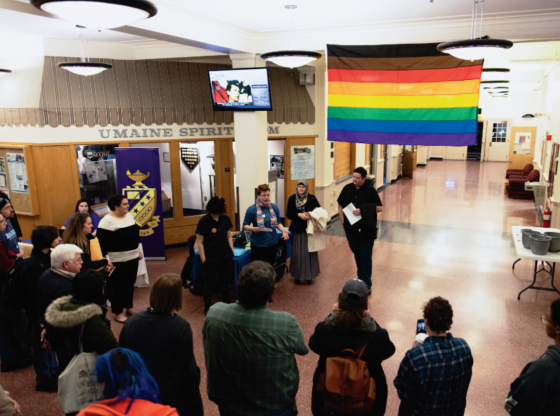 “The UMaine Student Symposium is reflective of Maine’s flagship university at work, a world-class research university dedicated to workforce development and economic advancement benefiting Maine and beyond,” Kody Varahramyan, vice president for research and dean of the graduate school, said in a press statement. Students from nearly every college and discipline showed up to present on Wednesday, and examples of research could be found throughout subjects as diverse as health care, social sciences, natural science, engineering, education and the arts. Stuart Kestenbaum, Maine’s poet laureate since 2016, served as the symposium’s keynote speaker. Kestenbaum was formerly a director of the Haystack Mountain School of Crafts in Deer Isle, Maine, where for 27 years he created innovative ways of combining craft work with creative work like writing. As part of the symposium, finalists for UMaine’s Three Minute Thesis competition presented their research. The Three Minute Thesis competition, which was created at the University of Queensland in Brisbane, Australia, requires that a presenter successfully inform his or her audience on a topic in under three minutes while using only one PowerPoint slide. Cameron Hodgdon, a doctoral candidate in marine biology and the competition’s first prize winner, was chosen to represent UMaine at the annual Northeastern Association of Graduate Schools regional 3MT competition over the weekend of April 11-13 in Philadelphia, Pennsylvania. Elizabeth Kilroy, the vice president of UMaine’s graduate student government, said one goal of the event is to benefit the state of Maine. The 2019 Student Symposium was jointly managed by the Office of the Vice President for Research and Dean of the Graduate School, the Center for Undergraduate Research and the Graduate Student Government. More information may be found online at https://umaine.edu/umss; or over the phone by calling the Center for Undergraduate Research at (207) 581-3583.